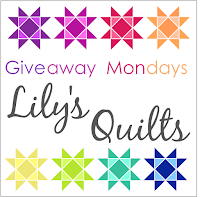 So we have a giveaway here at Lily's Quilts every Monday (reposting to fix a broken link in the post!). 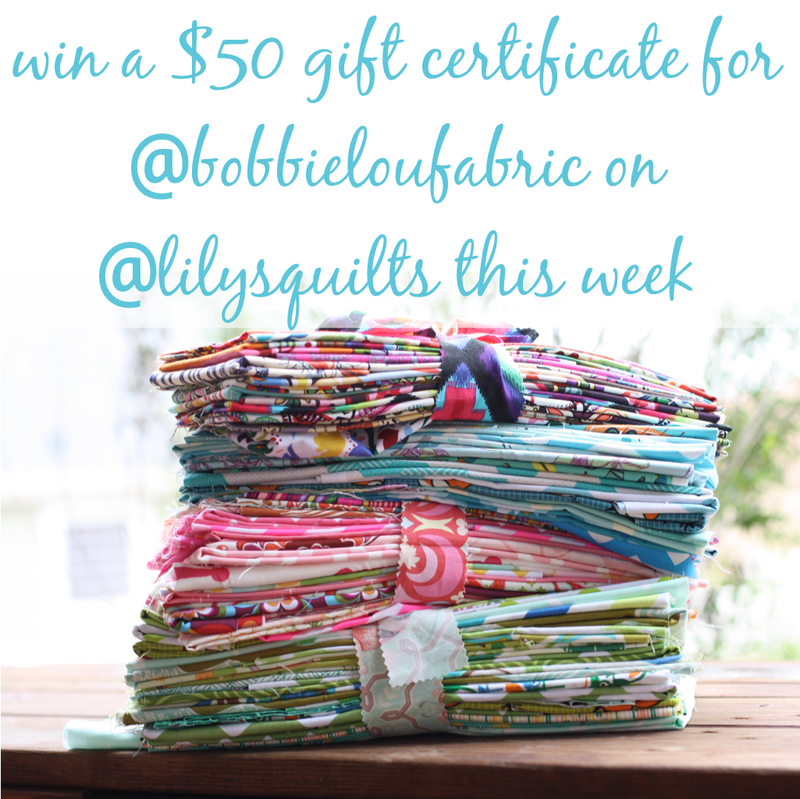 Today we are giving away a $50.00 gift certificate to use on anything you would like to buy at Bobbie Lou's Fabric Factory. You can check out their "What's New" section to see newly added fabrics. Also, lots of good deals in their "Sale" section at the moment. And don't forget that Bobbie Lou's Fabric Factory always offer free US shipping on orders over $50 as well as $5.00 off of international shipping on orders over $50.00. 3. Share the giveaway on social media and let me know that you did - one comment for each share. And the winner of this gorgeous Denyse Schmidt Modern Solids charm pack (100 pieces) from Fabric Please from last Monday's giveaway has been picked by random number generator and is ... Green Eggs! I love the Alexander Henry prints Bobby Lou's carries. Very pretty fabrics. Thanks for the chance to win. I've shopped at Bobbi Lou's before, great customer service. Thanks again. Its raining!......well, you said any comment!!! love the grey stag fabric. Love the fabrics showcased especially the foxes. Thanks for the chance. I will have to check this site out. Very pretty fabric. I enjoy a slow . fresh morning after a very, very hot sunday! What a wonderful give away, I have never heard of Bobbie Lou's-off to check them out right now. Great! Love to win the giveaway! Very generous giveaway and lovely fabrics...thanks so much for the chance to win! I do follow on Instagram too. Today is my birthday! How fun would it be to win this awesome giveaway! Love your blog and all the beautiful things you share with us! I love Bobbie Lou's! Great shop. Thanks for the chance! Sharing on my facebook page! I'm a new follower of @bobbielou on Instagram as ceciliaquilts. Gorgeous shop and lots of beautiful fabrics! Thanks for the giveaway!! 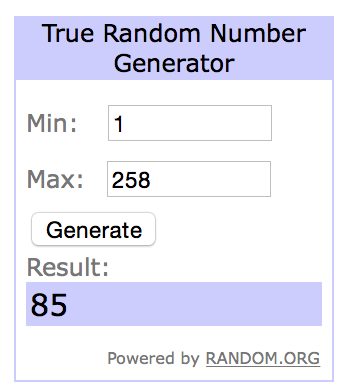 A very generous giveaway - thanks! Love the prints and colors. Very creative. Lots of wonderful fabrics over at Bobbie Lou's Fabric Factory - unique selections! Beautiful shop!! !😍😍 thanks for such an amazing giveaway prize!! Thanks for a chance at another great giveaway! 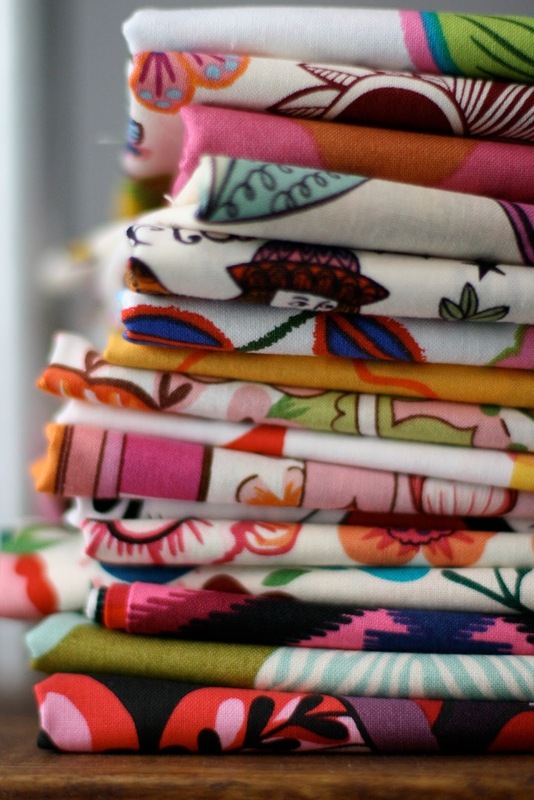 Lots of pretty fabric to choose from. I follow Bobbie Lou Fabric on Instagram as @sweetfeetstitches! I cannot think of a better way to begin a new week than a giveaway! Thanks! Pretty fabric! Thanks for the chance to win. Wow! Fifty dollars is a generous gift certificate! Thanks for the opportunity to win! Posted about the Monday Giveaway on Pinterest. 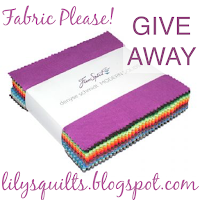 A generous giveaway on some great fabric. Thanks! Love the deer and the fox fabric! Oh I love that pretty Tula and Charley harper! Generous give away for beautiful fabrics. Would love to win! Thanks for this chance. BL has some lovely fabric! Bobbie Lou's Fabric Factory. Nice selection of fabric. I keep saying I have enough fabric but I sure love the new lines each time they come out. And since I have to use up what I have, I just have to make another quilt. So I guess I'm quilting out of desperation, that or justification, so I can buy more fabric. Thanks. Fantastic giveaway. So much wonderful fabric at Bobbie Lou's Fabric Factory. Which one to choose will be hard. Gotta love a free shopping spree! Thanks for the chance. I followed Bobbie Lou on Instagram . Love Bobbie Lou Fabrics! Thanks for the giveaway! Awesome, they have lots of great fabric to choose from in their store! I'd love to win, but you should give it to the person whose birthday is today! Ooh, I love Bobbie Lou's!!! I didn't get made redundant today. Yay! Thanks for this shop intro! 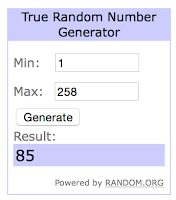 Great giveaway; thank you for hosting! A wonderful giveaway. Thank you for the chance. I follow bobbieloufabric on Instagram. Wow, so many lovely fabrics! The fox print is too cute! I've commented and shared on Facebook but don't see my comment? Thanks to you & your sponsors for hosting this great giveaway. Okay, I LOVE these fabrics, I am now signed up on instagram and following and I shared on Facebook!!! And I've shared on pinterest!! Happy Monday, and thanks for the great giveaway. 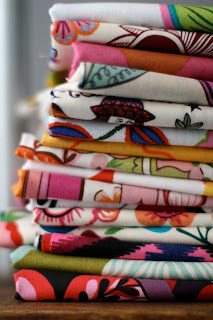 I love the selection at Bobbie Lou's Fabric Factory, especially Tula Pink's Elizabeth. Thanks for the chance to win! THANK FOR A NEAT GIVEAWAY! I had a look and love the selection they have at Bobbie Lou's! Will put them on my list for the next time I can shop for fabric!! Greetings from high atop Hook Heath in Woking, Surrey, UK. What a great giveaway and thanks for a most enjoyable blog. Have shopped at Bobbie Lou's but have added them to my Instagram account. I follow Bobbi Lou on IG. I also have been keeping track of both of you on Instgram. Love the pictures and projects you both share! It's a new to me shop, I'll peruse it tomorrow! I've been following Bobbie Lou's on IG. Thanks for a chance to win! Sounds like a cool shop! Still after a bit more tula! Great giveaway thank you. I love that Tula Pink. Wish I had her Butterfly pattern. I really love the colors in Bobby Lou's fabrics. Thanks for the chance to win some. Bobbie Lou's carries "Wanderer" by April Rhodes w/Art Gallery and I'd love to hoard some "Dreamcatching in Flare and Celeste". Thank you so much. Love the shop and giveaway. Love Tula Pink and this is so kind of you. They definitely have some fun stuff in their sale section! I love Bobbie Lou's - she has some great deals from time to time! Very nice! Thank you so much for the chance! I follow Bobbie Lous on IG, @hopefulthreads. Thanks again! Love Bobbie Lou's! Thanks for the chance! 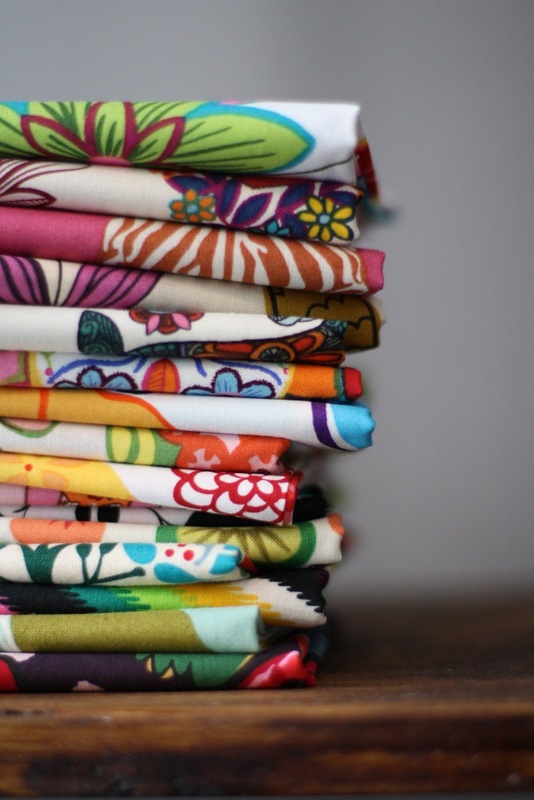 What a lovely fabric collection! Oh those Charley Harper foxes! I would love to win this bundle to make gifts for World of Charity Stitching. Following Bobbie Lou fabrics on IG, thanks. Horray! Love a good giveaway! Thanks! I think it would be rude to enter since I won the last giveaway, so I'm just posting to say thank you for the generous prize. I love it! Would love to win a fabric voucher. Thanks for allowing international entries, it makes me feel not so far away from the action. I have no idea if this is over, thank you so much for the giveaway though! What a great giveaway. Thank you for putting this together. Some extra materials for summer projects would be awesome! I follow Bobbie Lou fabrics on IG. Ohh so many possibilities! Thanks! Great giveaway - I love the selection at Bobbie Lou's Fabric Factory! I know exactly what I would pick, anything with deer is perfect for an upcoming project. Thank you for this giveaway opportunity! Such perfect timing. If I win, I can get the rest of the fabric for my next project! Lovely fabric at Bobbie Lou's Fabric Factory. Great giveaway! Love Bobby Lou Fabrics on Etsy. Shared on Pinterest! I love the vibe of the fabrics carried by Bobbie Lou and I have ordered from them. I follow Bobbie Louu on IG. Never heard of BobbieLou until you mentioned them. Thanks for the intro! Hi there! I follow BL on IG! I follow Bobbie Lou on Instagram. Very nice new to me shop! Thanks for the giveaway. What an amazing prize! I'd love to have a spend up with all those gorgeous fabrics to pick from!